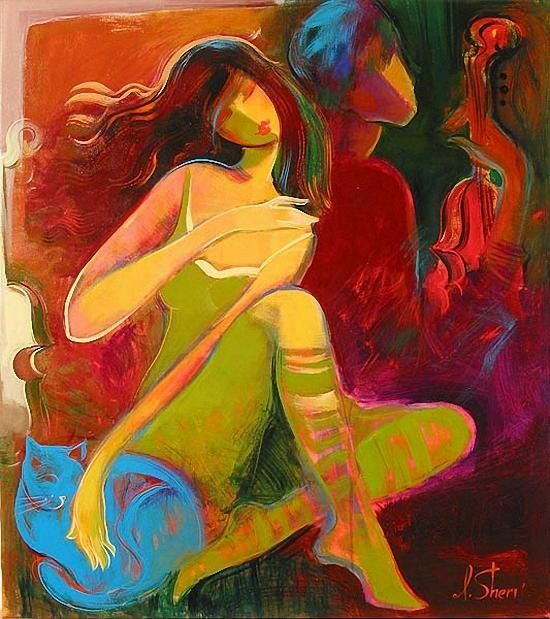 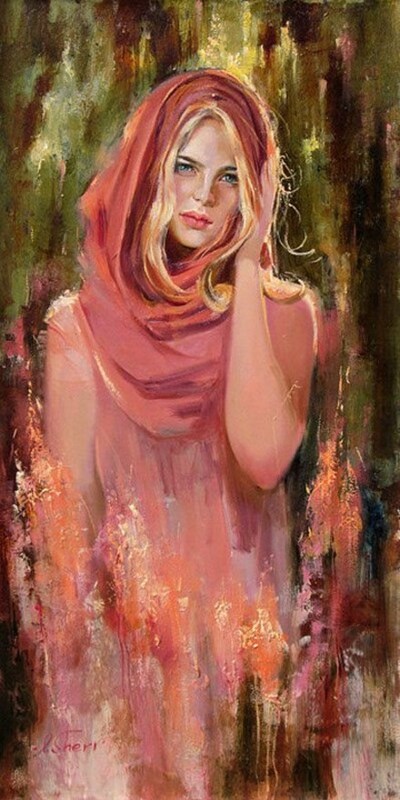 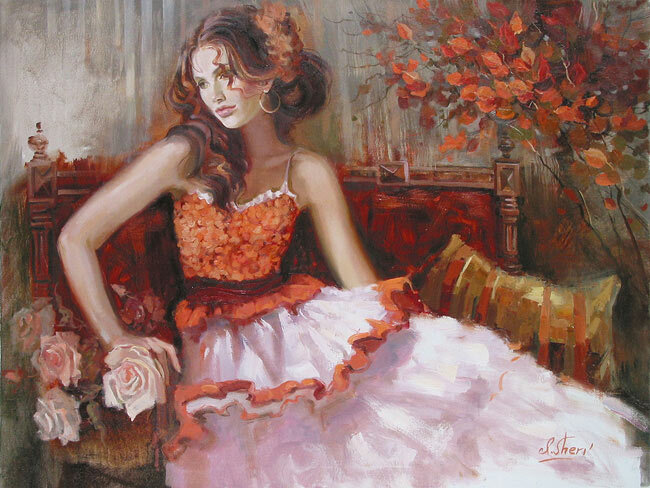 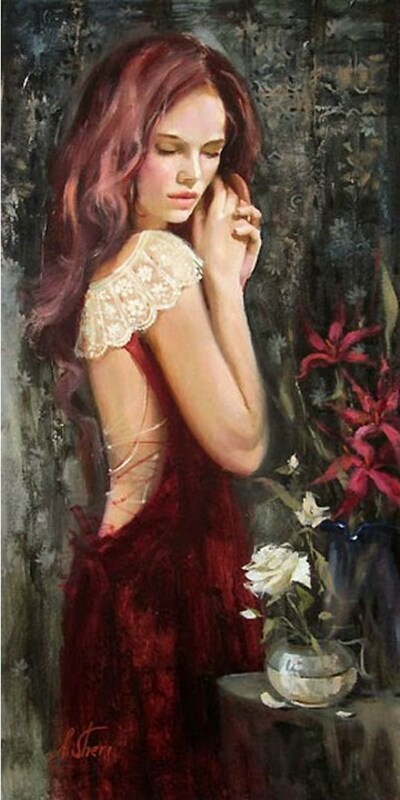 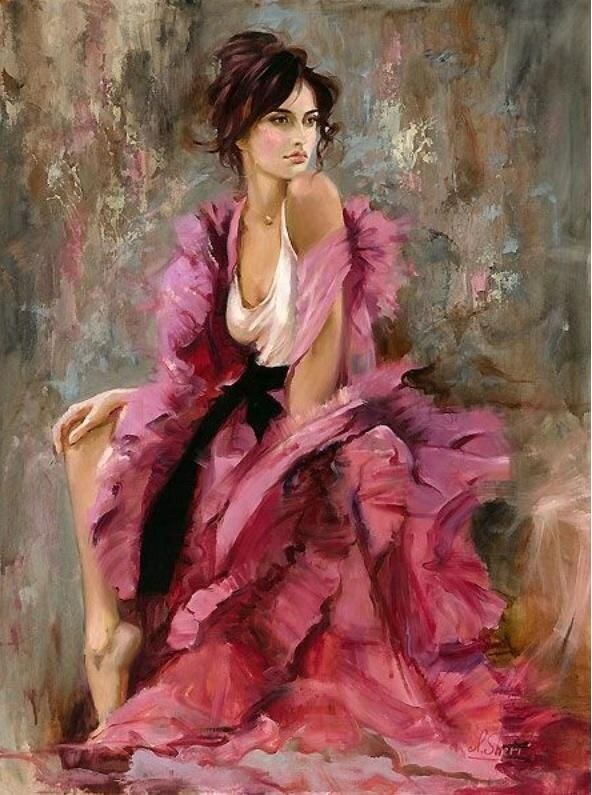 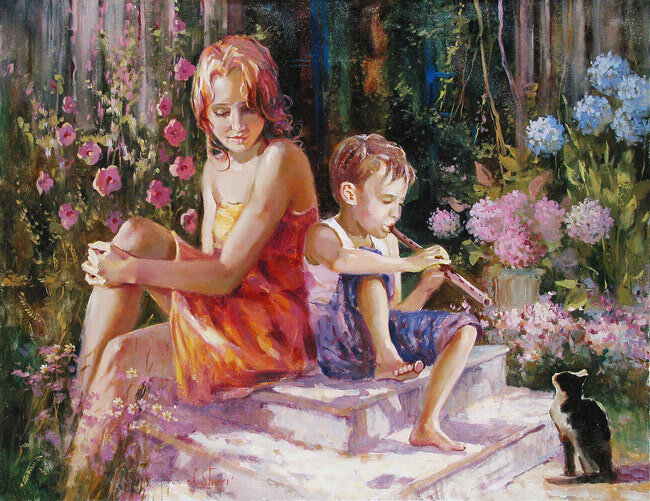 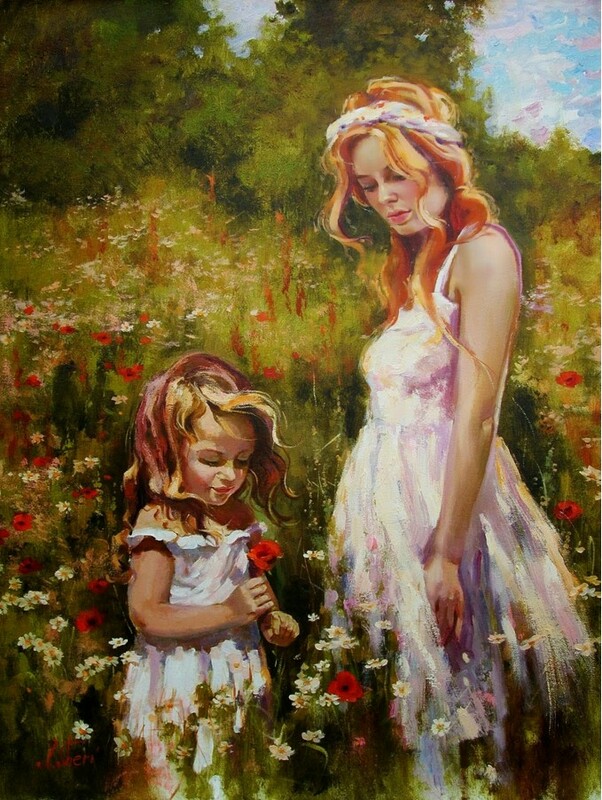 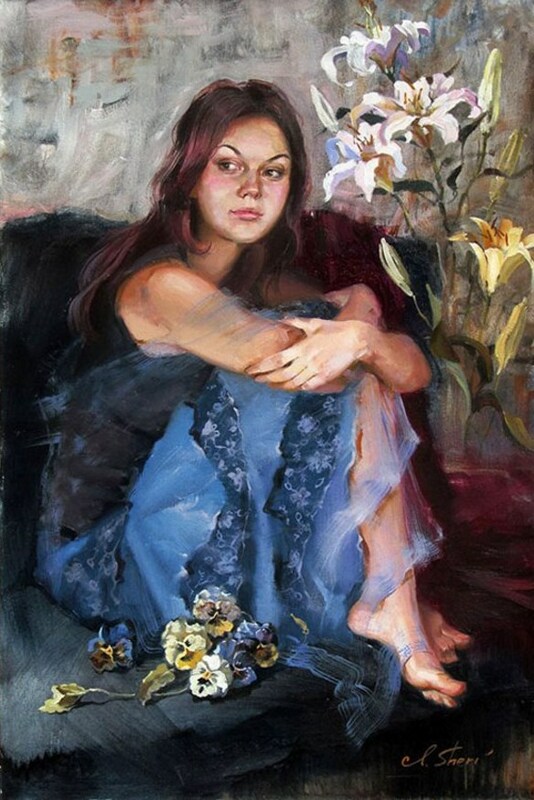 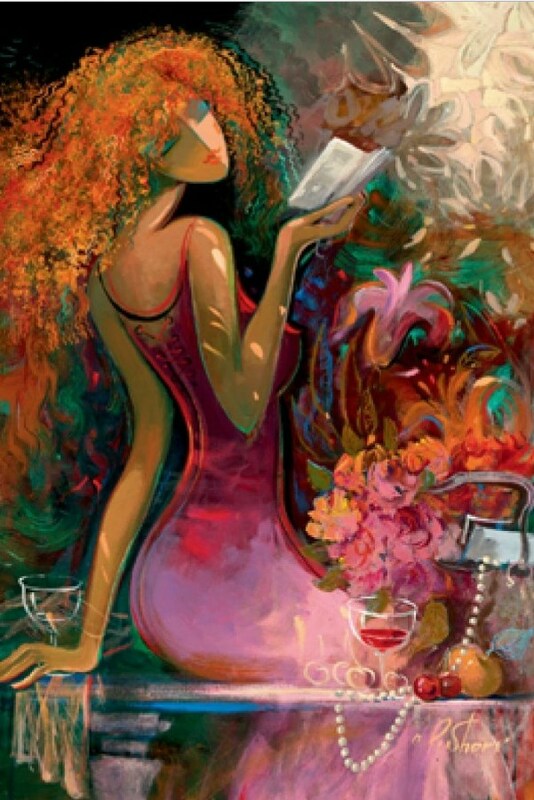 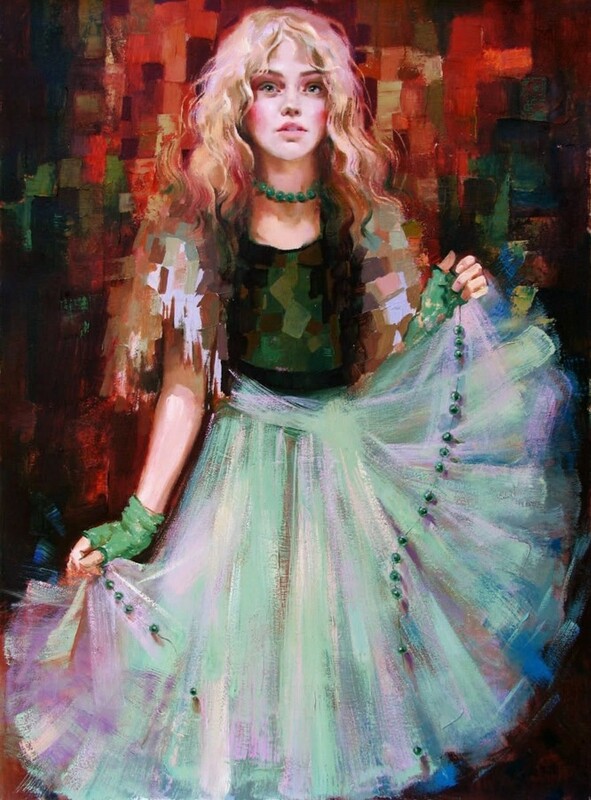 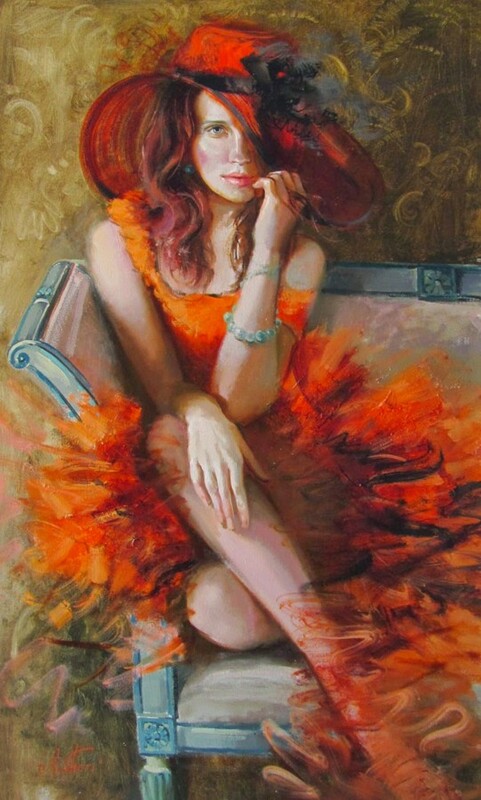 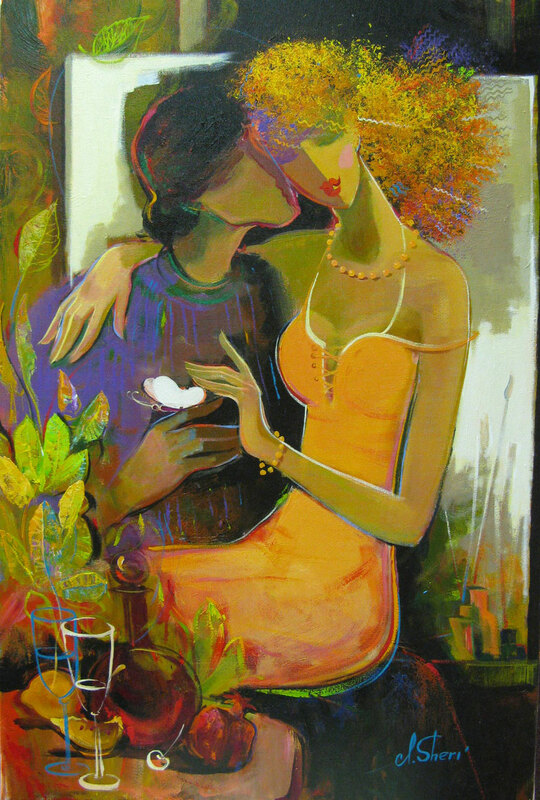 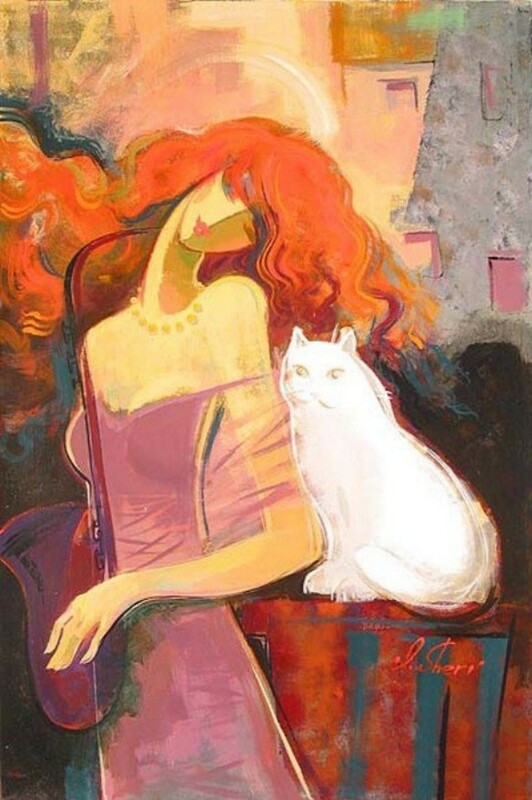 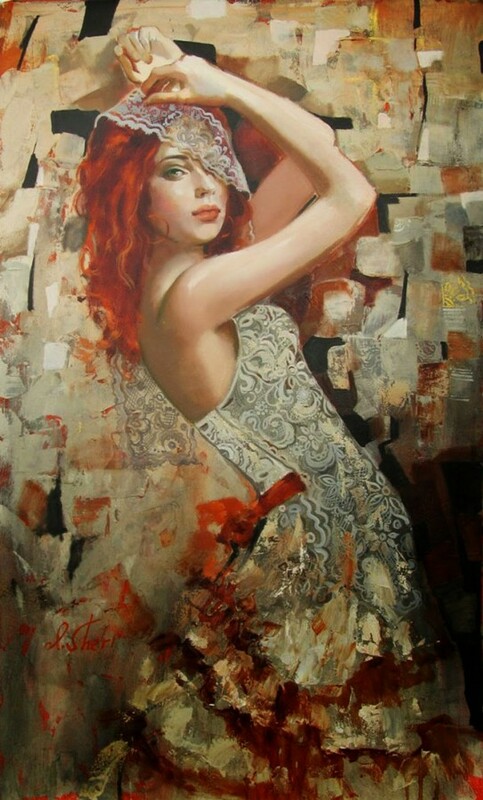 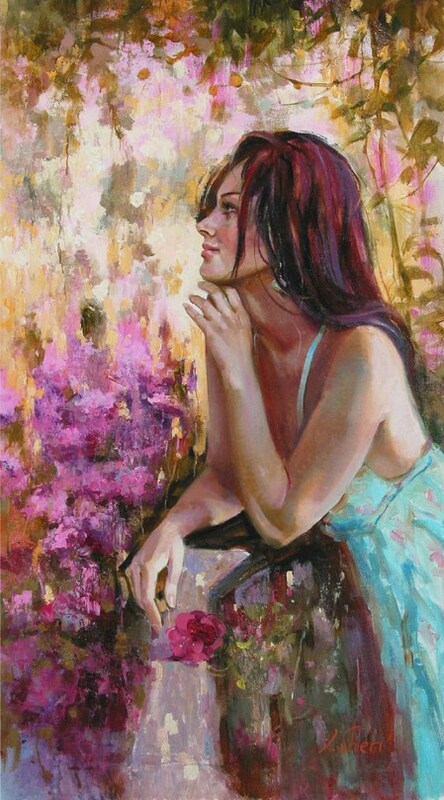 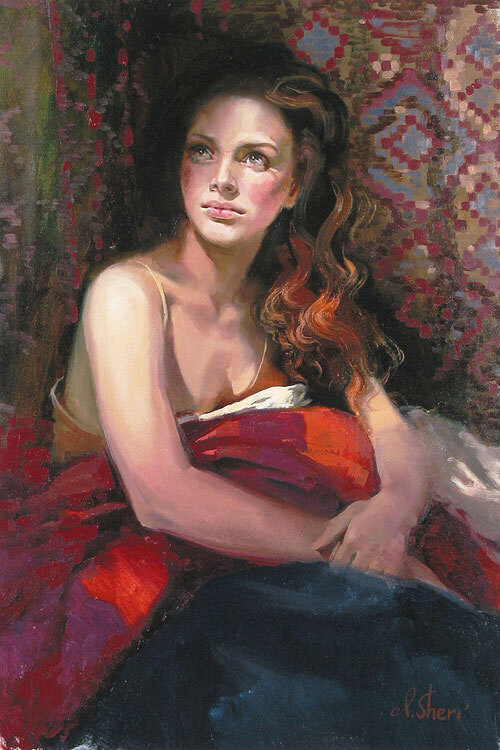 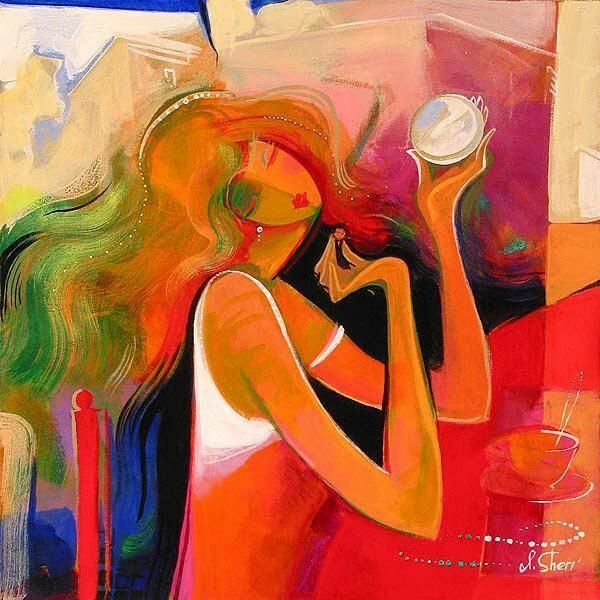 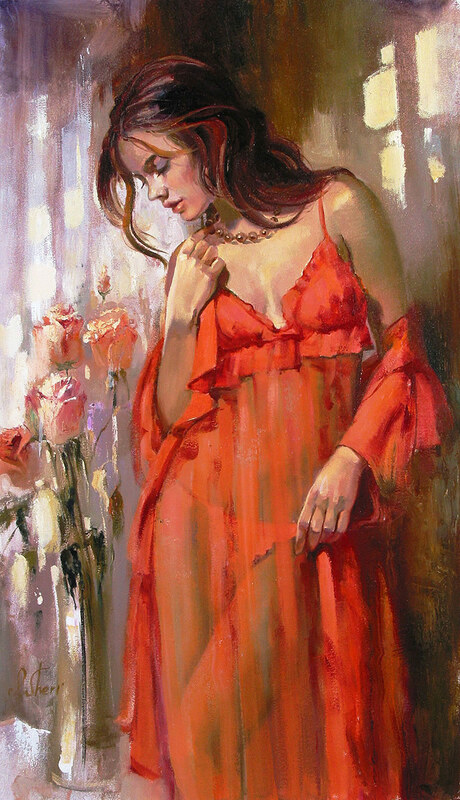 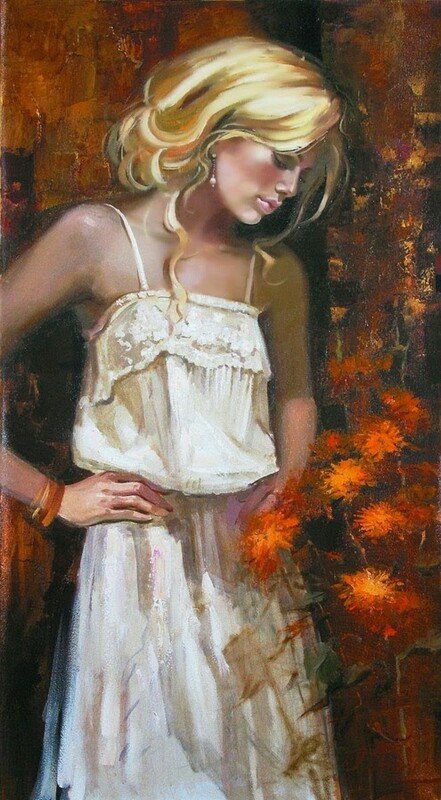 Daughter of a bulgarian mother and french father, Irene Sheri Vishnevskaya was born in the Ukraine in 1968. 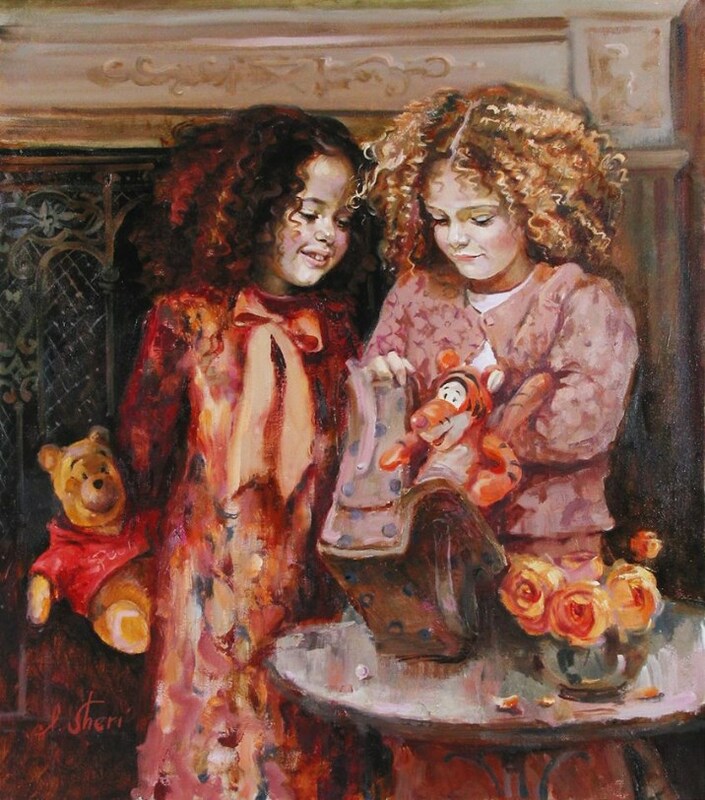 Her art career began when Irene’s older brother, Vasily, was given a set of paints for his 9th birthday. 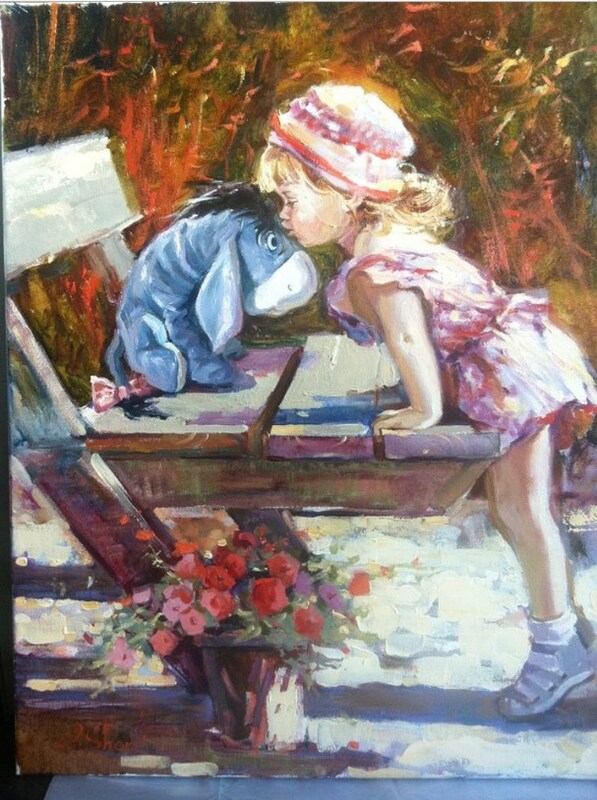 Told not to touch the paints, they became an obsession. 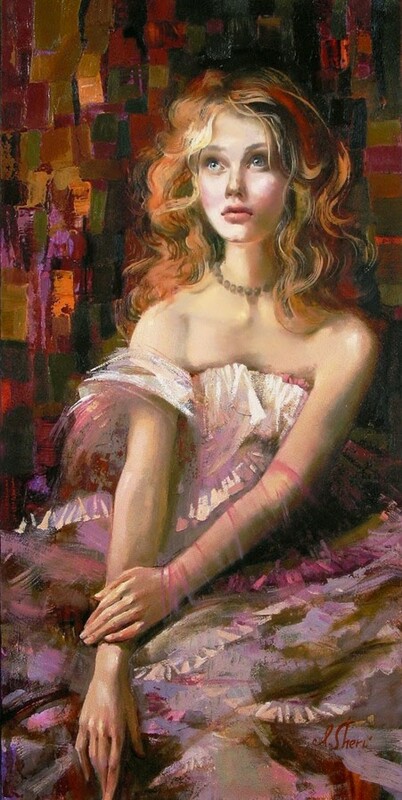 Irene stole them, mixed them, and painted on paper, walls, her dress, and the bodies of her friends. 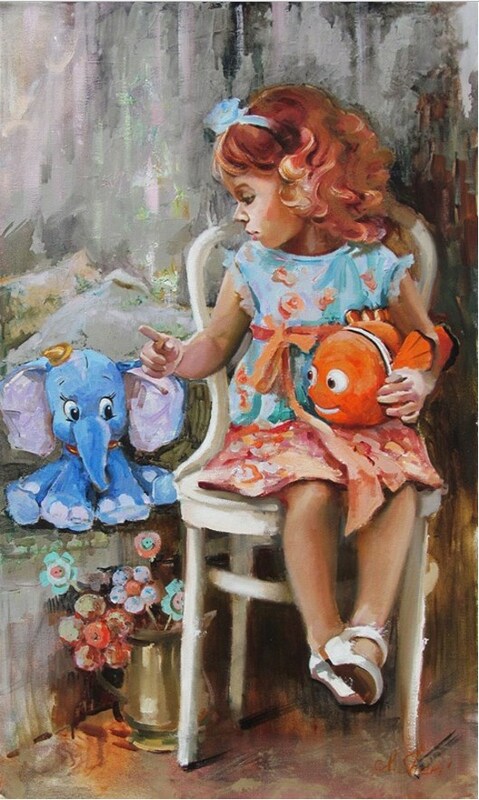 She was 4 years old. 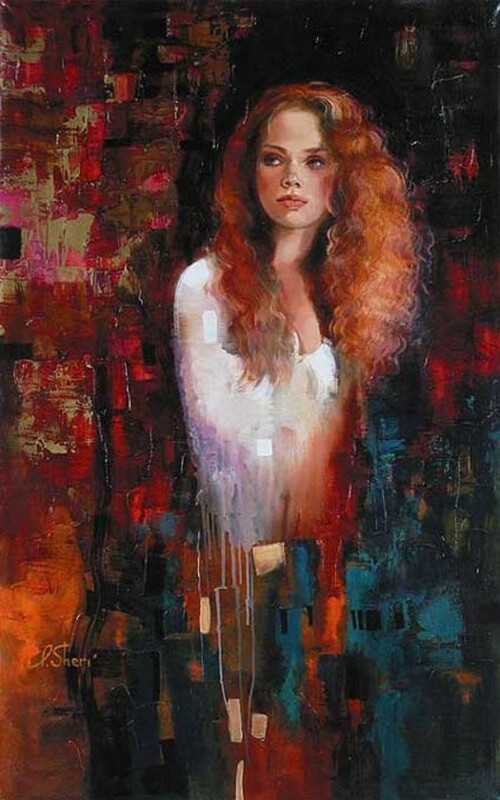 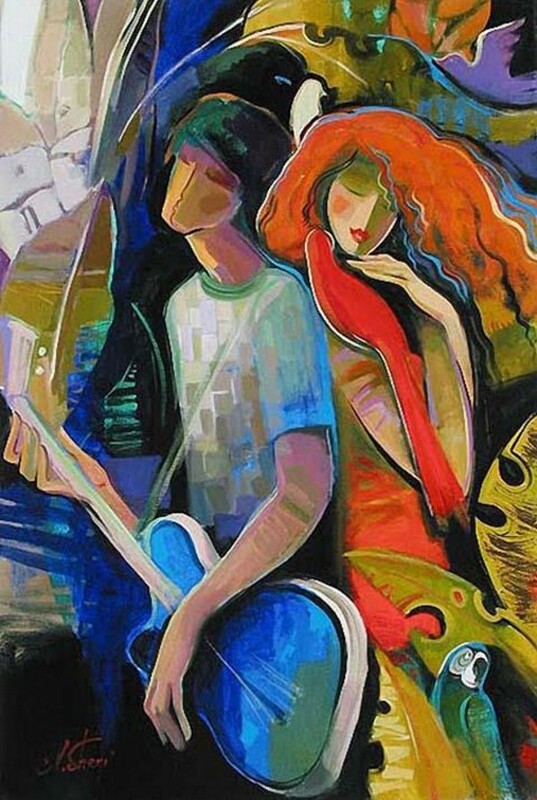 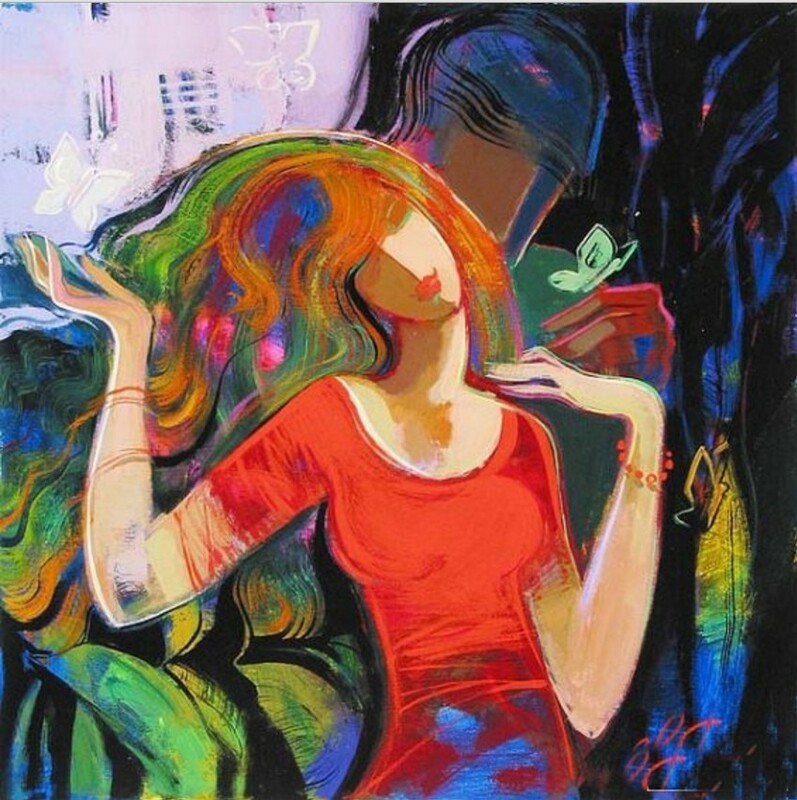 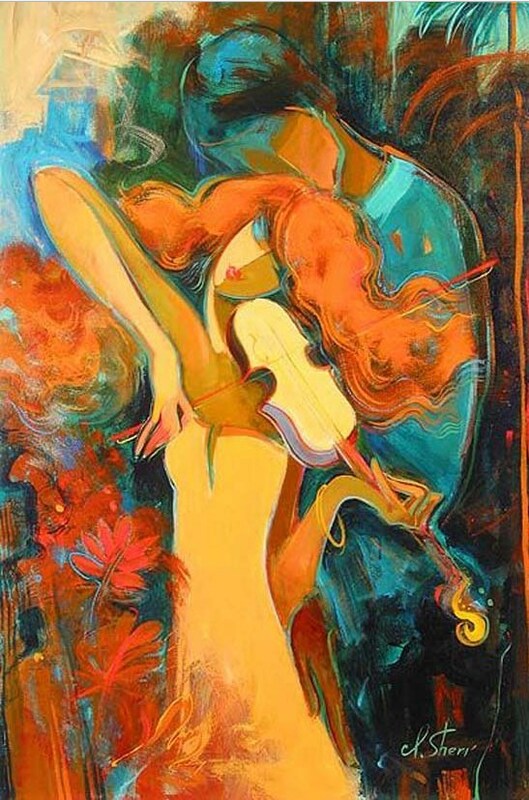 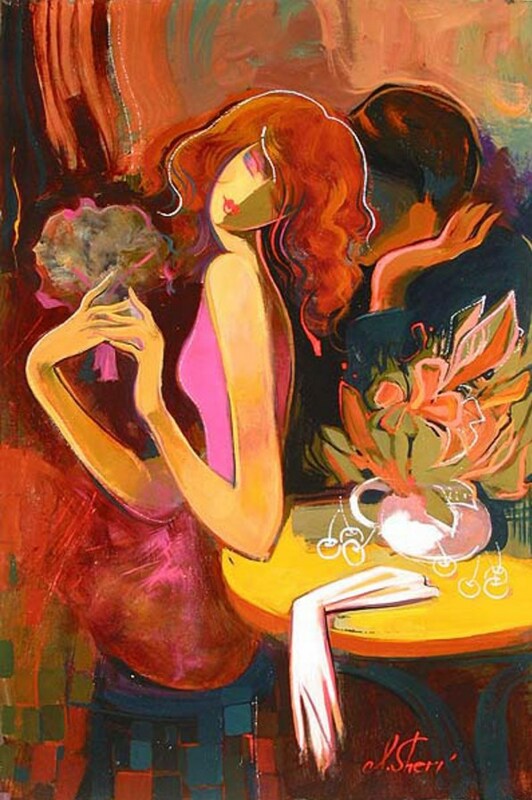 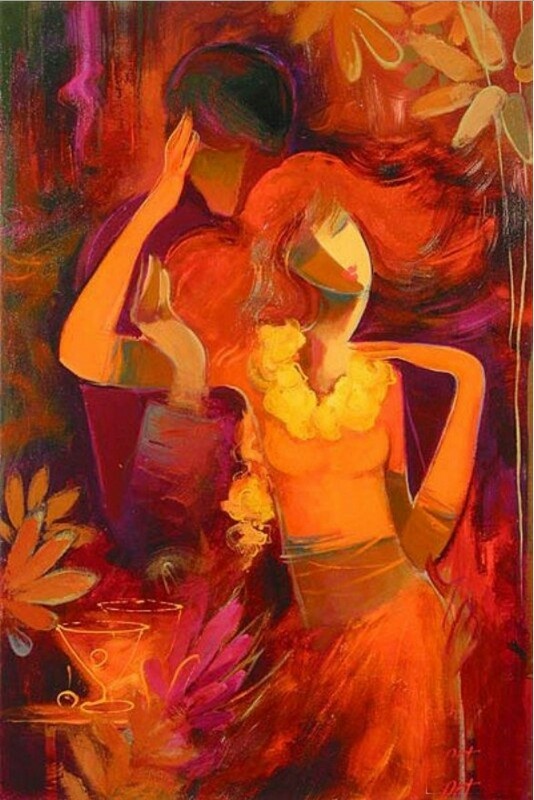 Sheri began to study art at the Belgorod Art School for gifted children a few years later, and at 15 became the valedictorian of both her junior high and art schools. 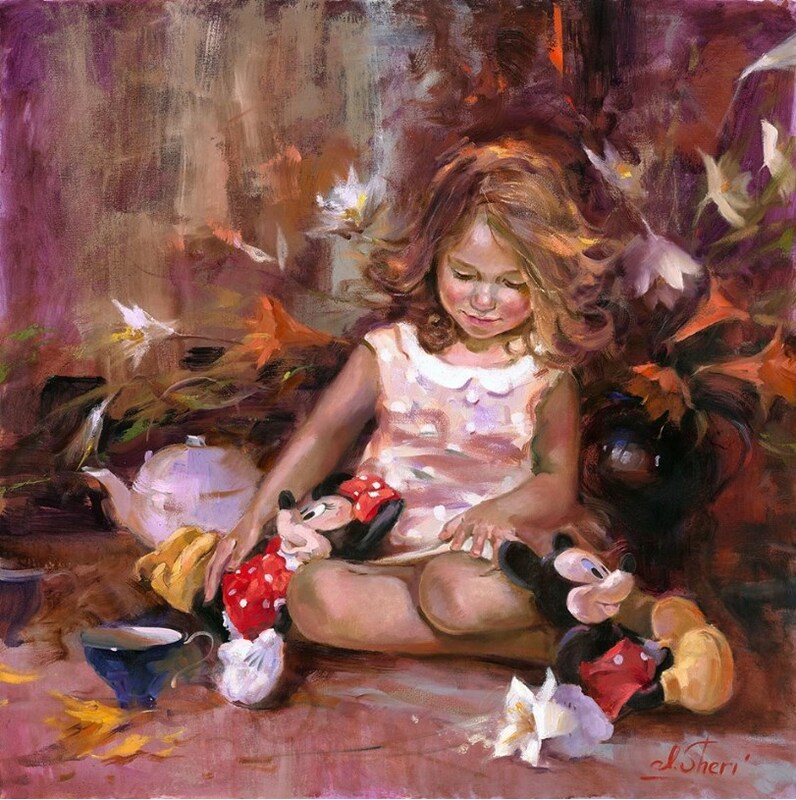 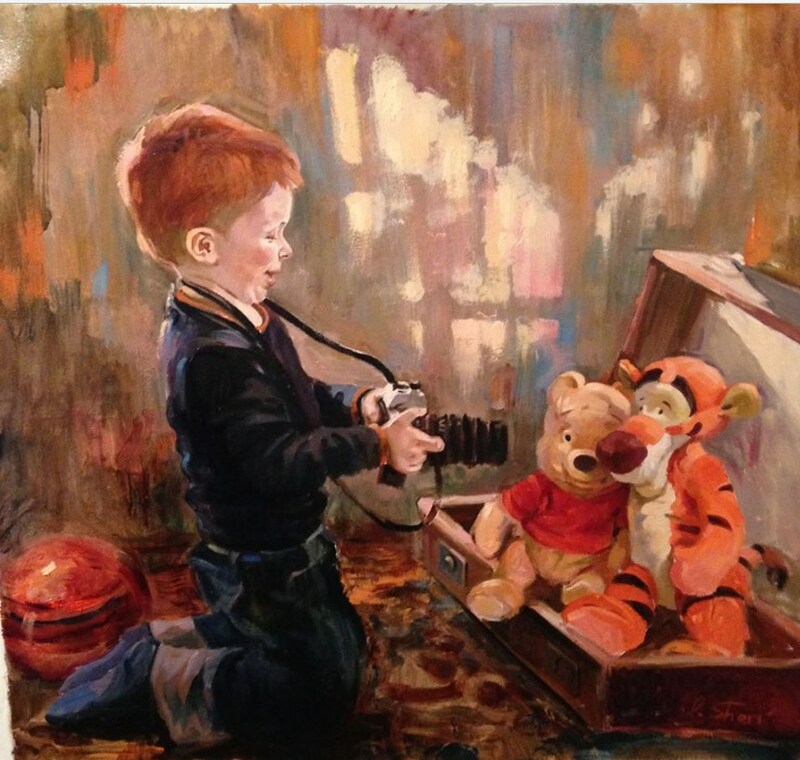 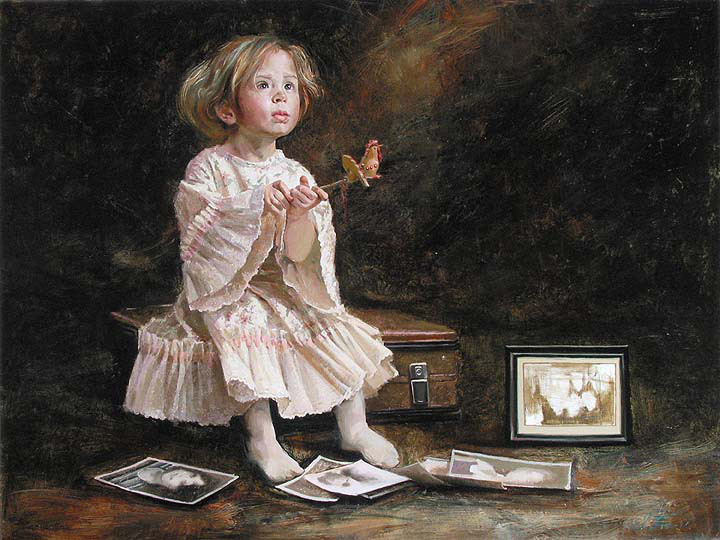 From there she entered Grecov College of Art in Odessa, and in her first year won a citywide juried exhibition and was honored as “Young Artist of the Year”. 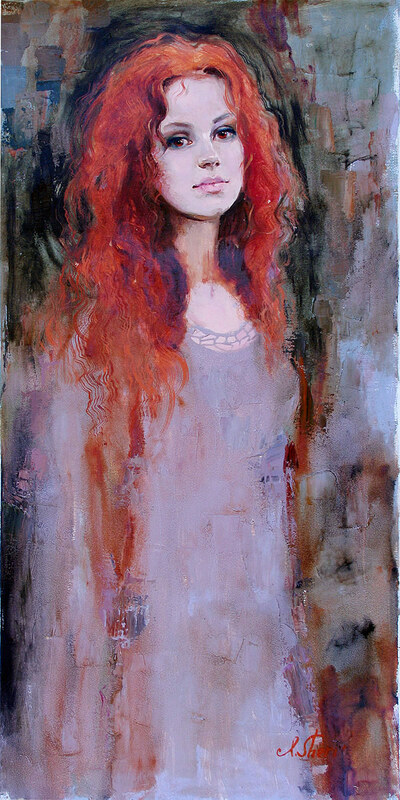 Irene would win14 juried exhibitions in the next two years and receive a special “Excellence in Art” award from the Mayor. 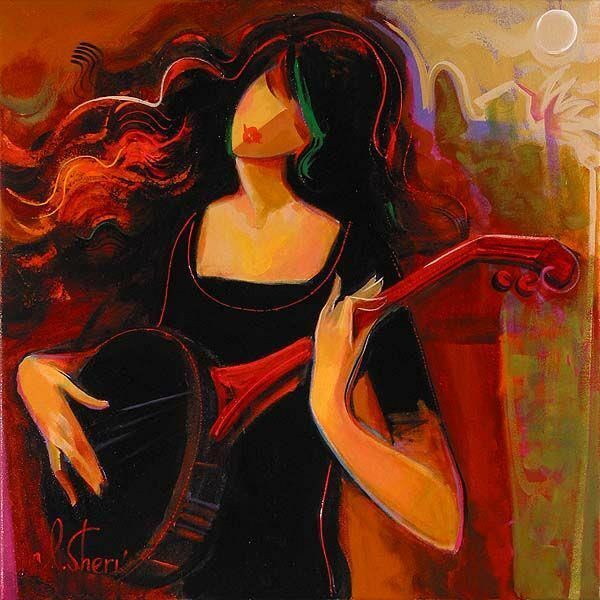 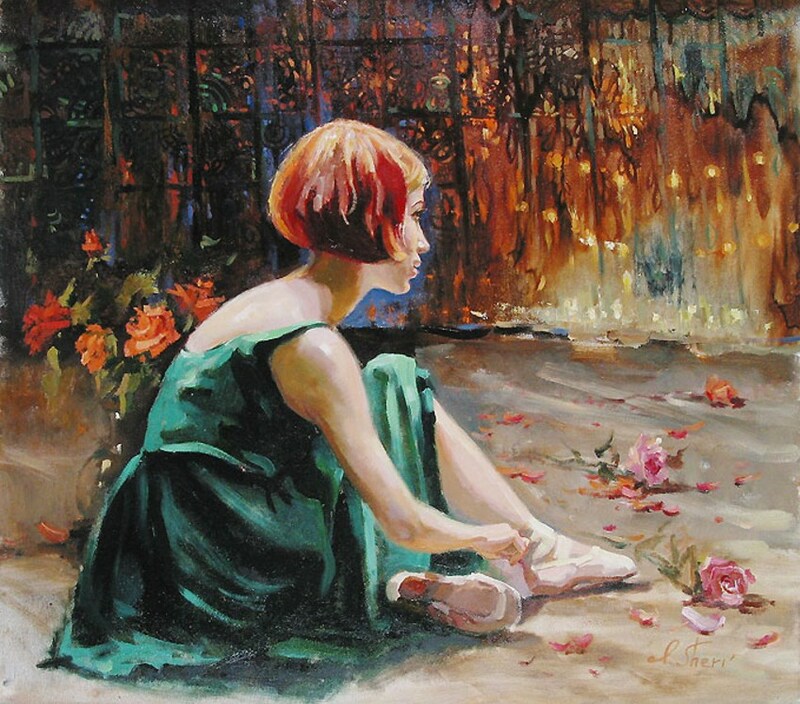 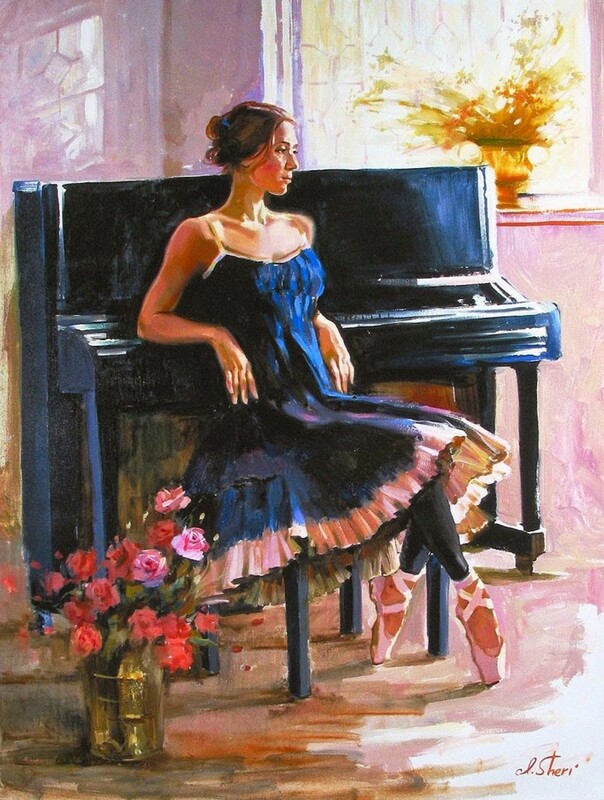 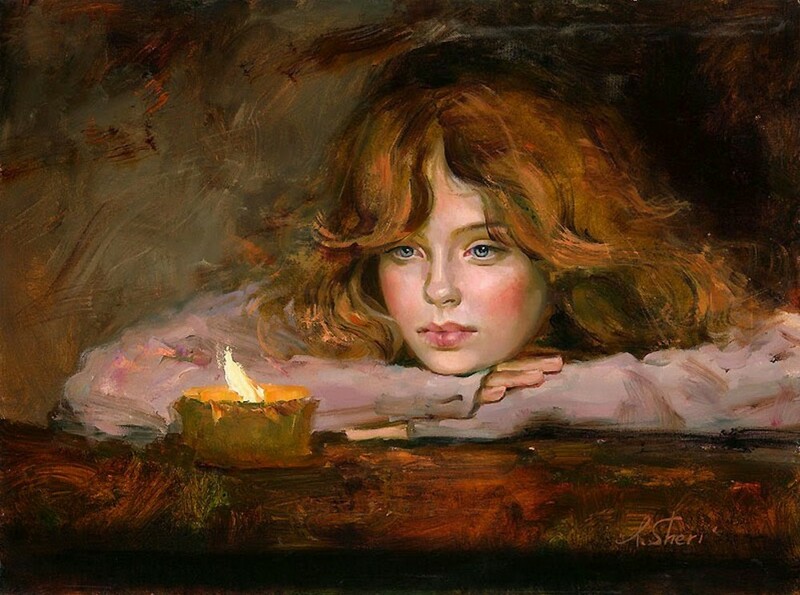 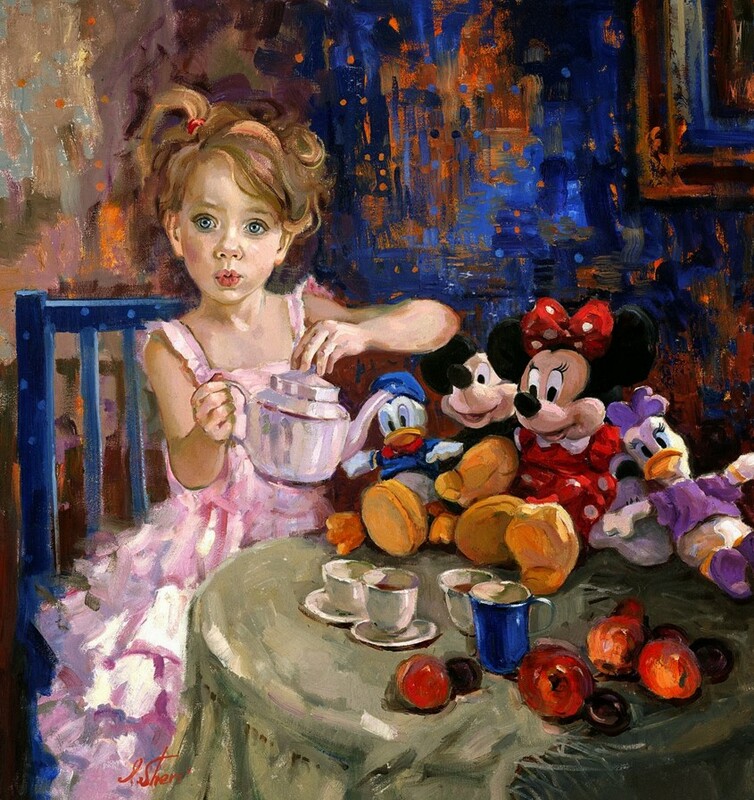 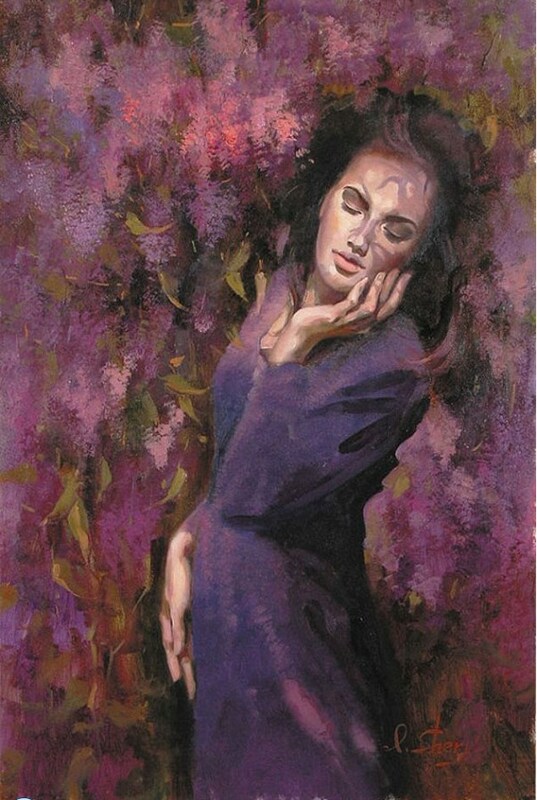 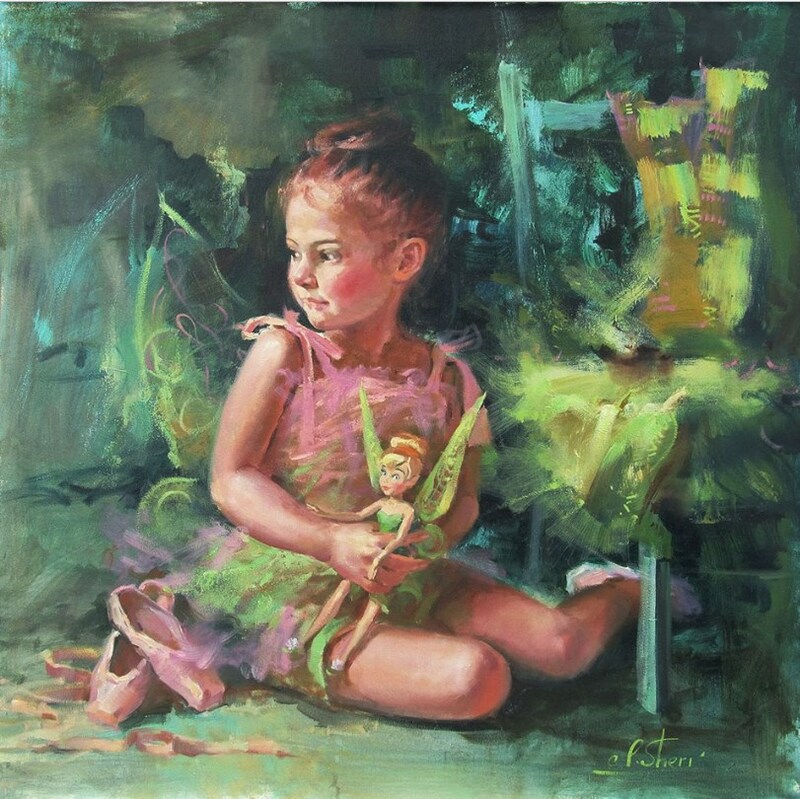 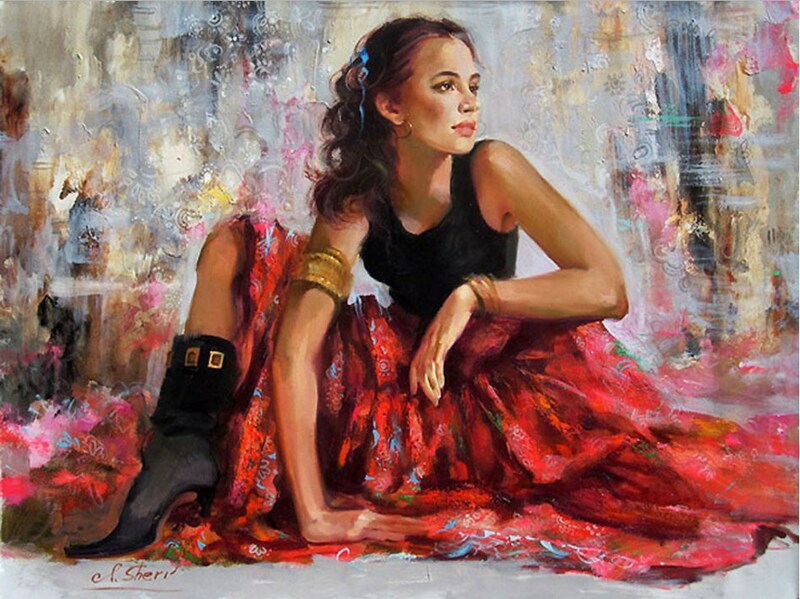 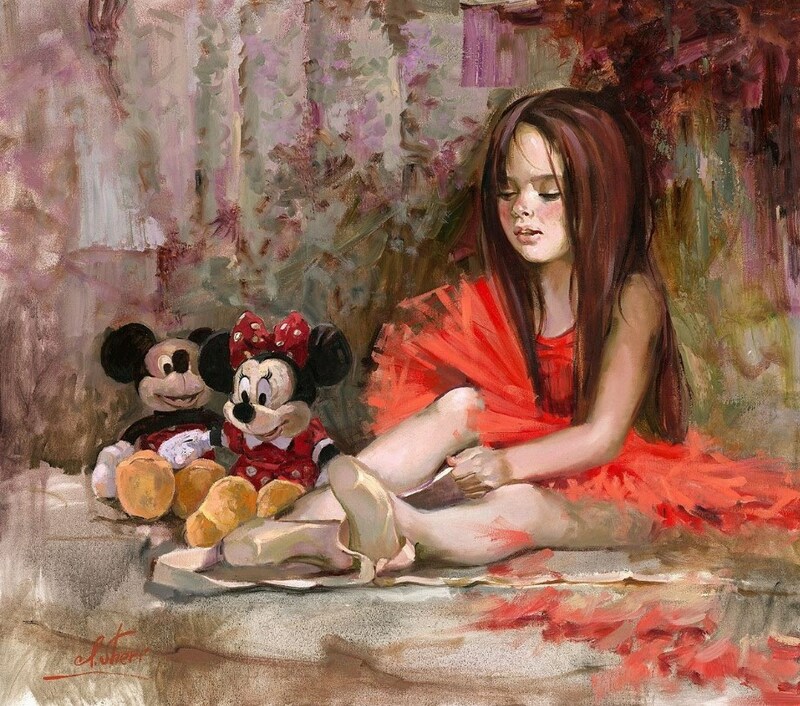 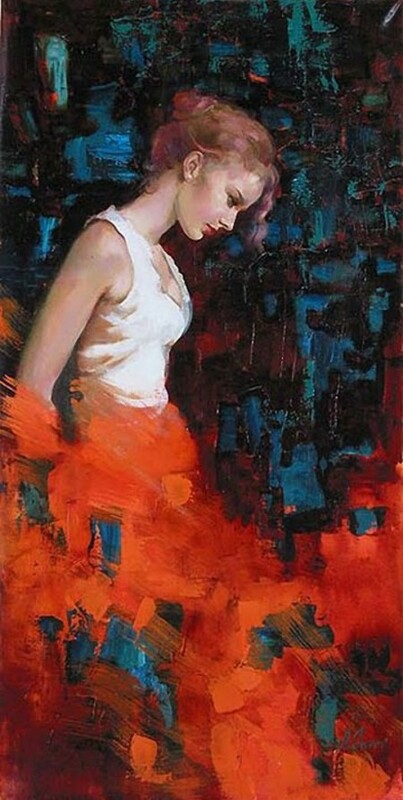 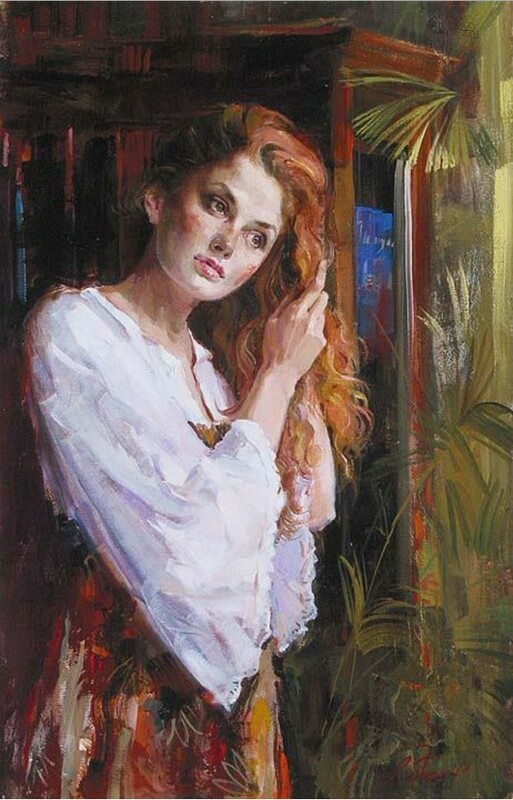 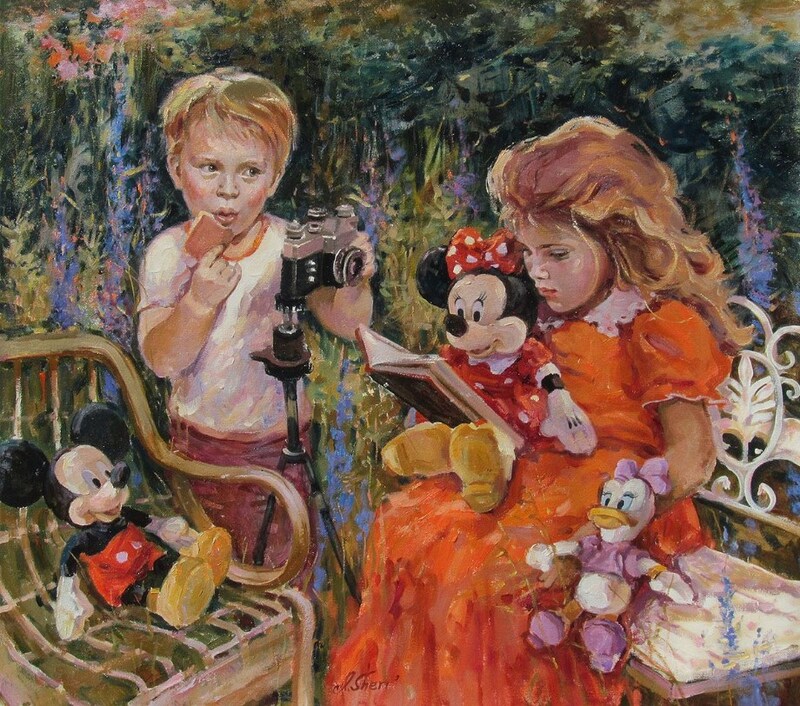 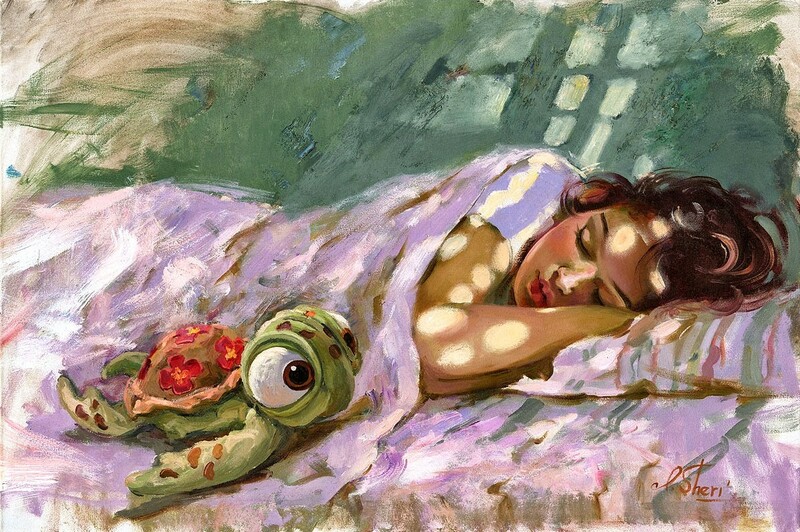 At age 17, Sheri entered the Serov School of Fine Art in St. Petersburg, Russia. 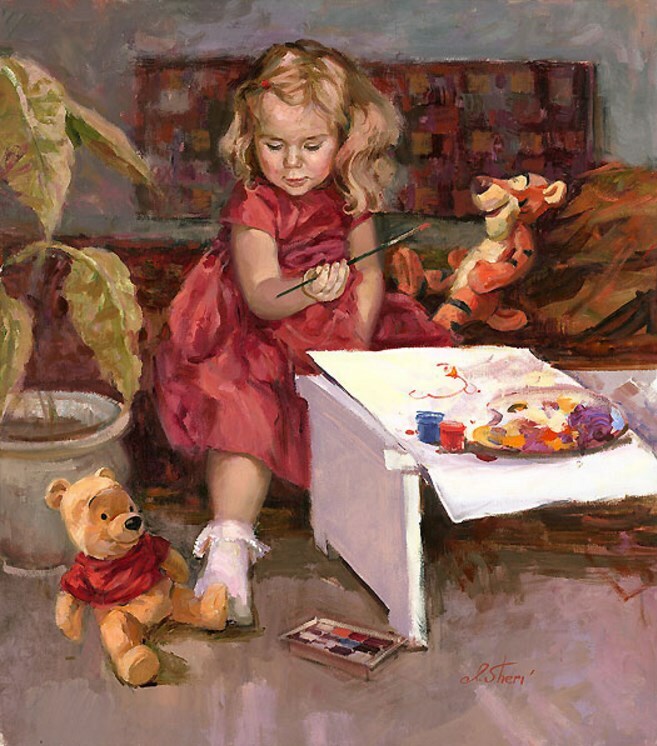 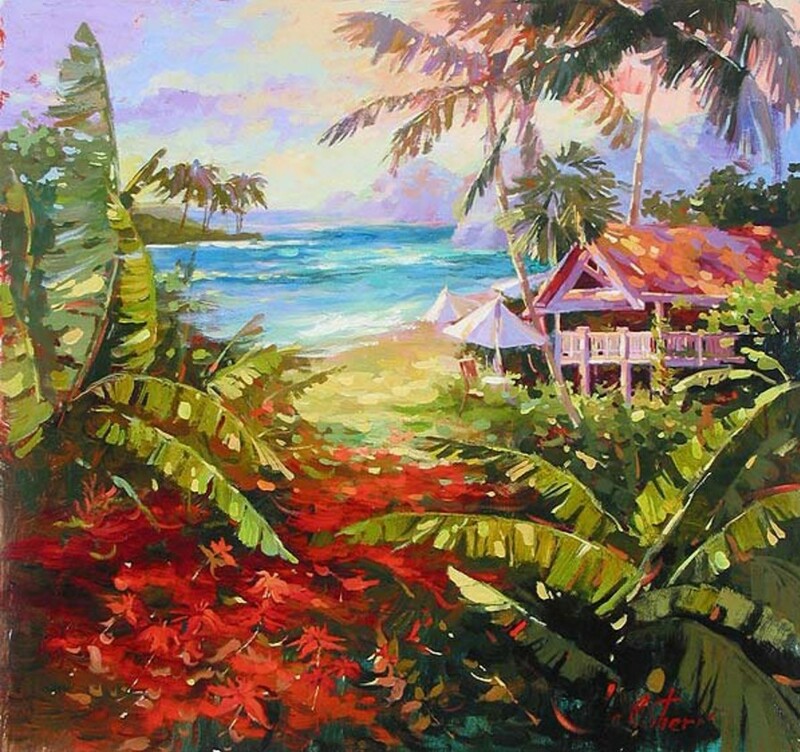 All paintings and sketches she created during her three years of study are now used by the faculty as samples of brilliant academic achievement. 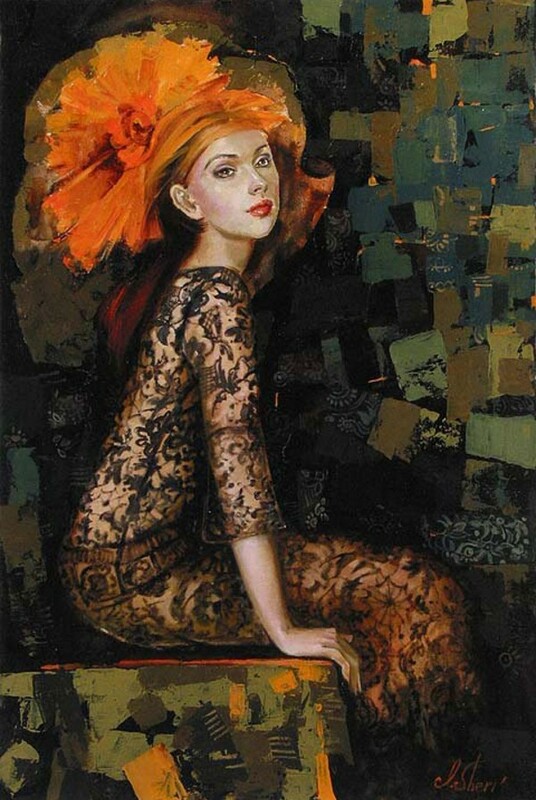 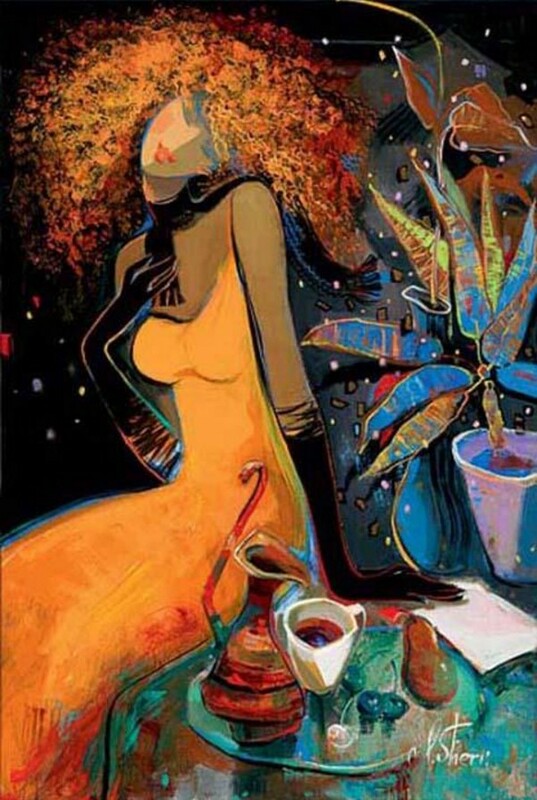 In 1990, Irene moved on to the St. Petersburg Academy of Art, one of the most prestigious art schools in the world. 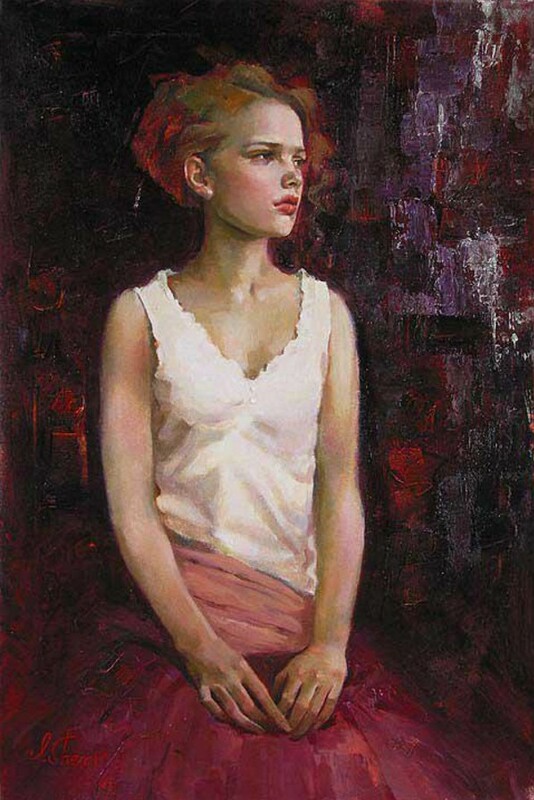 In 2000, her graduation artwork, “Early Snow”, was accepted into the permanent collection of the Museum of Academy Art. 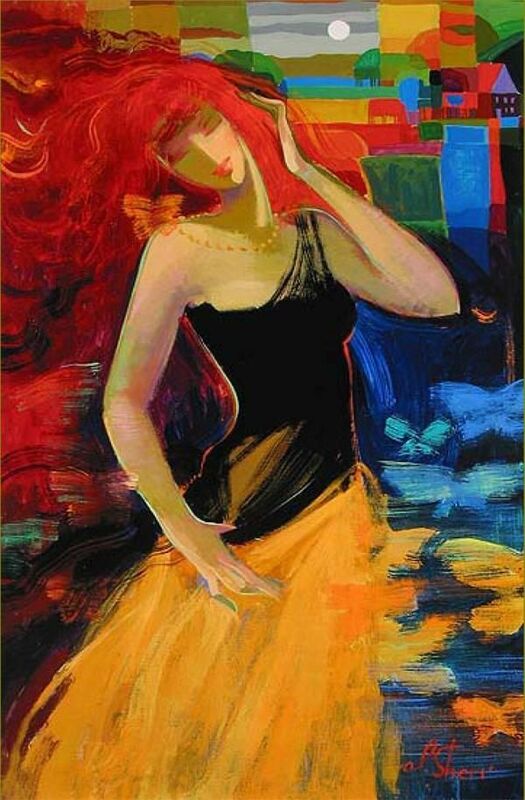 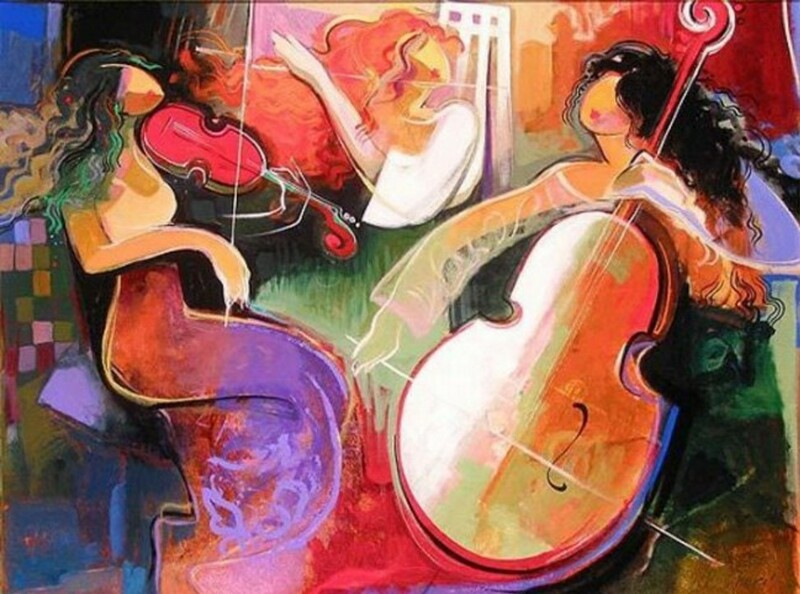 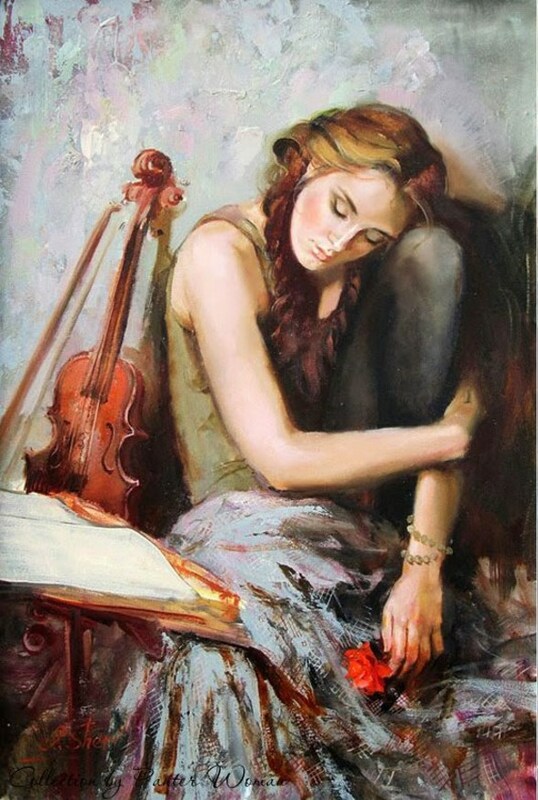 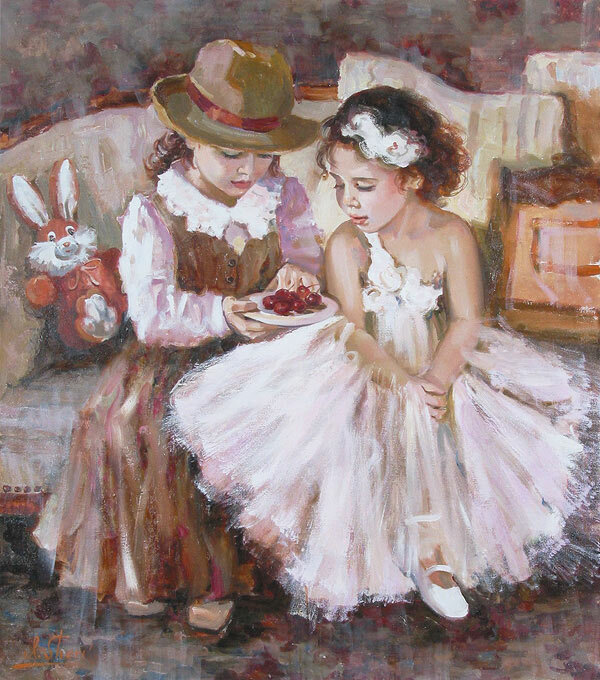 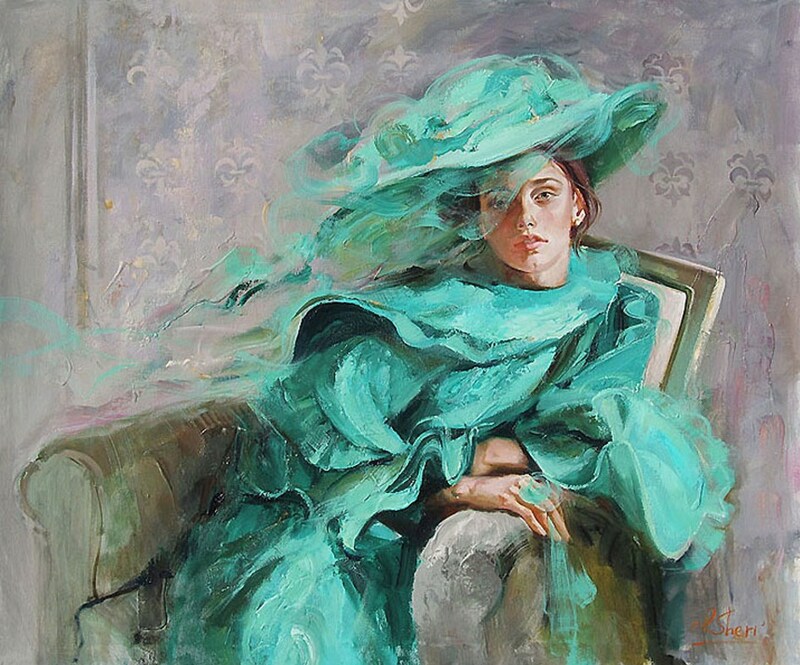 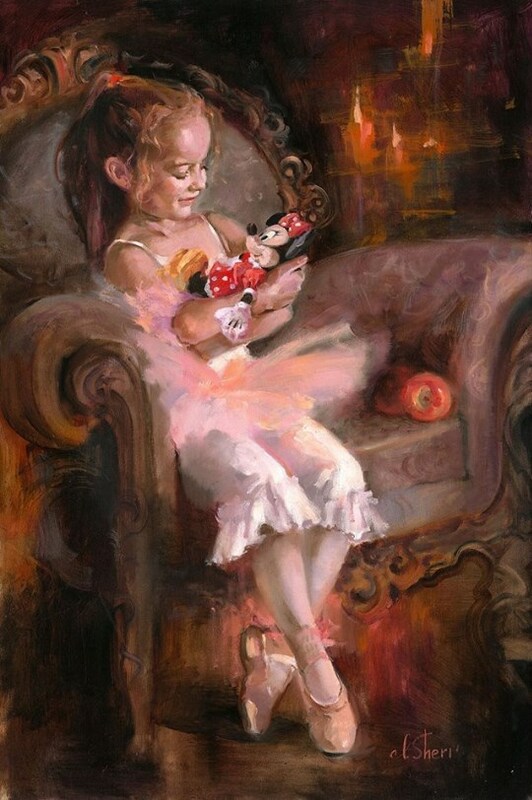 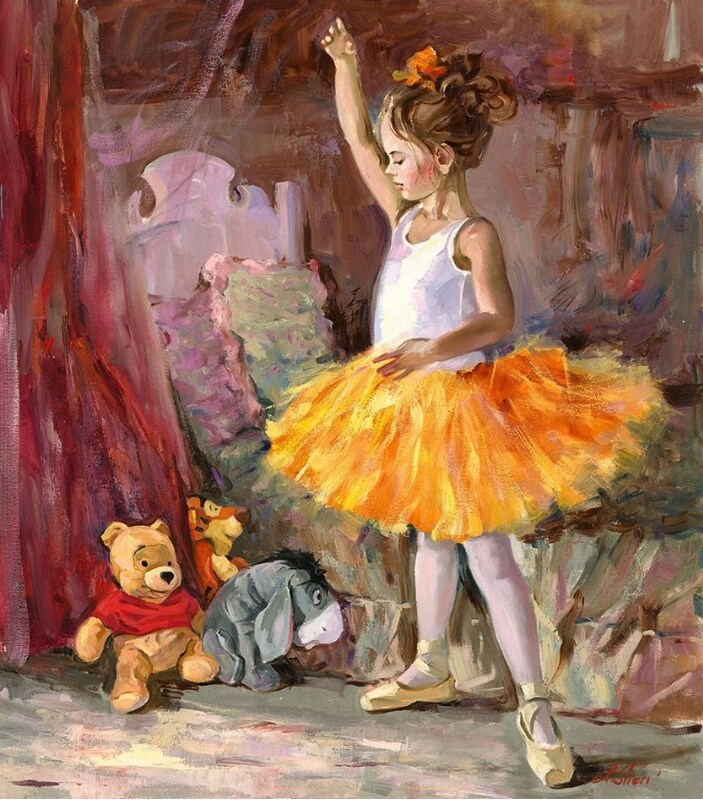 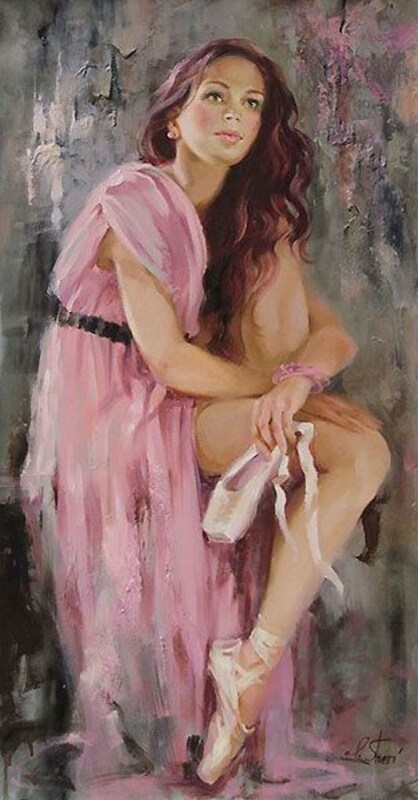 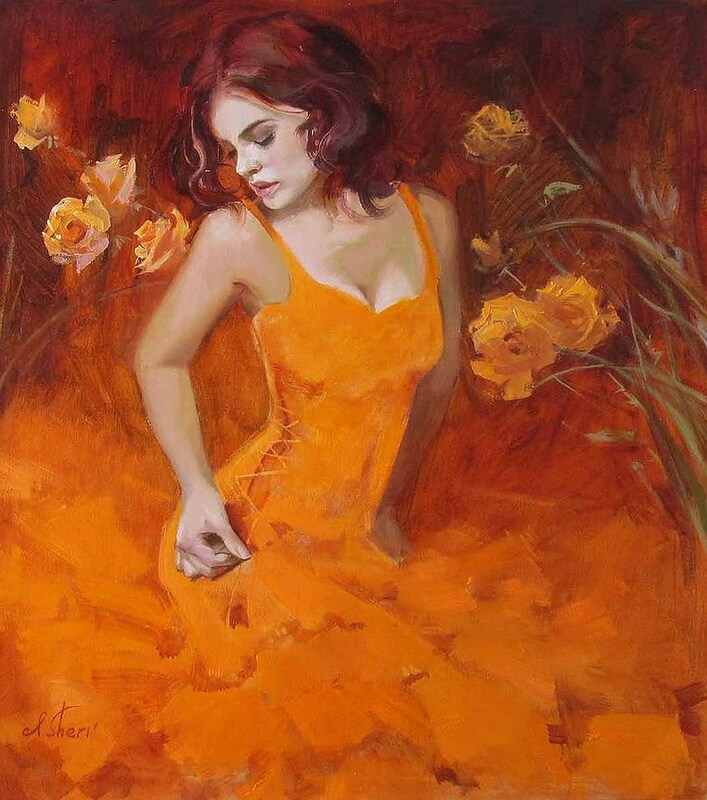 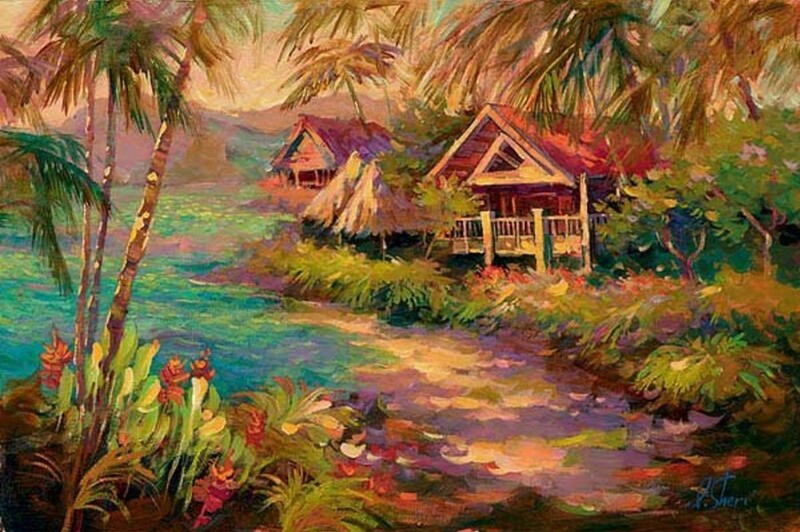 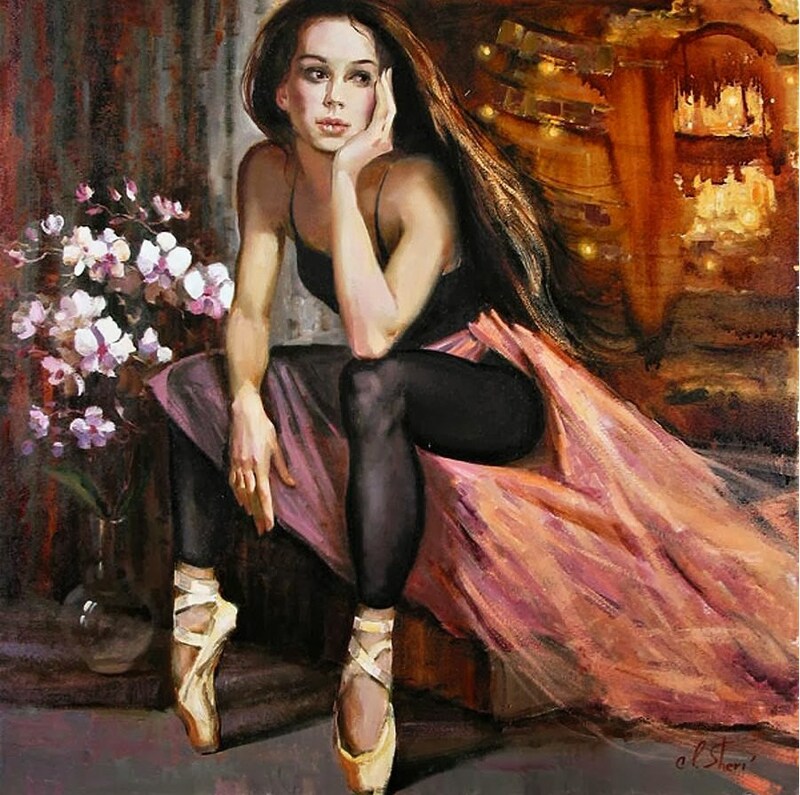 The oil painting also received the “Russian State Award for Outstanding Achievement in Art or Entertainment”, the highest honor an artist can receive in Russia. 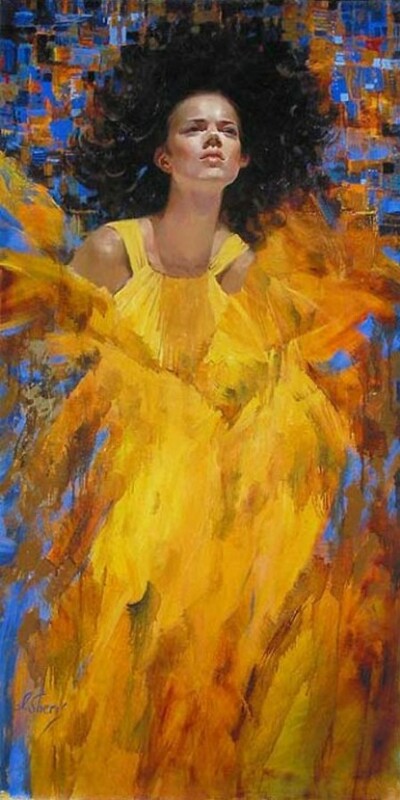 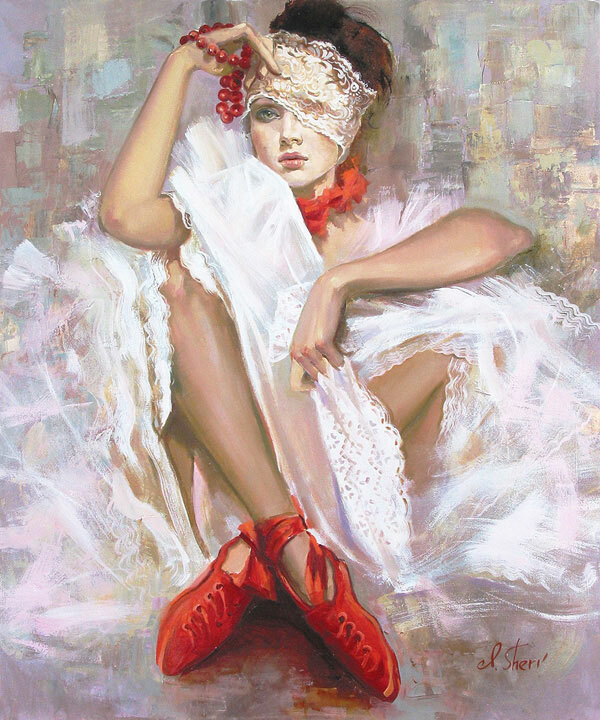 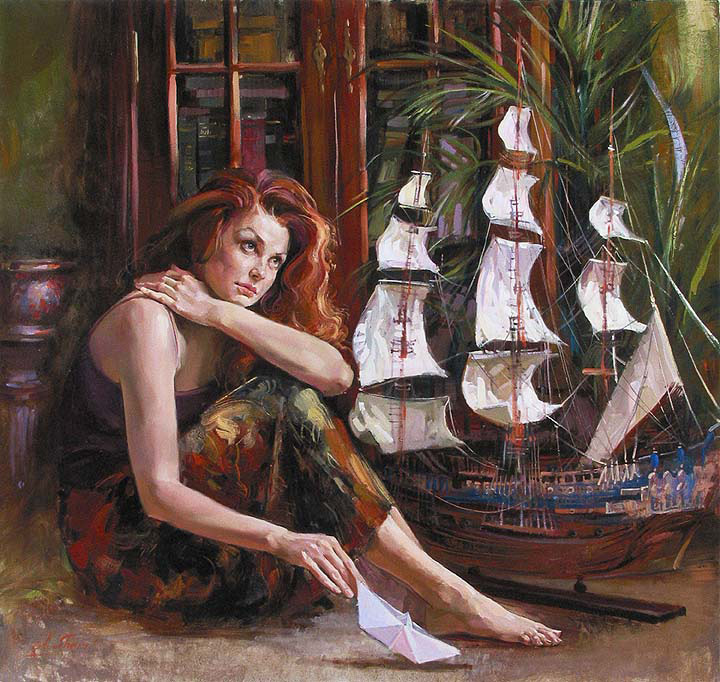 Her works are in many important collections, and presented by galleries in France, Italy, Germany, Belgium, Russia and the U.S. She appeared at the Roger Yost Gallery in 2008 along with Andrew Atroshenko – another St. Petersburg Academy alumnus – at a special exhibition called “From Russia with Love“.